A little book about Chun-Chieh's childhood as a young pianist. Mr. 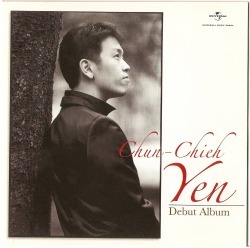 Yen's debut album, released in 2007 on Universal, won him "Best Classical Perfomer" in Taiwan's Golden Melody Awards. The album features three important works: Schumann's "Carnaval", Haydn's Sonata in E-flat major, Hob.XVI:49, and Prokofiev's Sonata No. 7 in B-flat major, Op. 83. *Due to copyright restrictions, this CD is not available for purchase through this website to residents of Taiwan. Taiwanese residents may buy it at music retail stores in Taiwan.